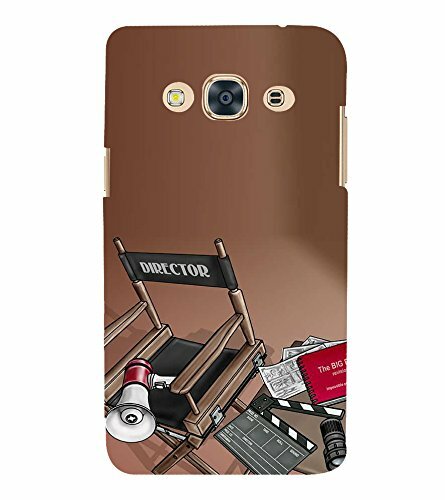 StudioArtz Maple Chocolate Slim Fit Shock Proof Hard Polycarbonate Unique Matte Finish Printed Designer Mobile Phone Back Cover Case For Samsung Galaxy J3 Pro, Samsung Galaxy J3 (2017)@319 Rs [Mrp:-319] - Onlinedeals.discount - A leading product discovery website. Find the true prices of products, read reviews and buy top brand products at reasonable prices. Anti-Scratch hardshell PC bumper offer maximum protection for the back and sides of your Mobile Phone. Reinforced corners effectively protect against shocks or drops. This printed case cover 100% perfectly fits your phone with precision cutouts for all buttons and ports. Made of rigid polycarbonate plastic; durable and protective. Bright and visually attractive design help you phone stand out. This pack includes: 1 x Protective Case. Protect your Mobile Phone with these designer hard back cases. Made from toughened polycarbonate plastic, they will protect your phone from bumps and scratches and keep it in pristine condition. These cases come with the Unique designs printed directly into the back surface to bring life and style to any smartphone. These designs were carefully crafted by our in-house team of specialist designers and they are printed directly on the cases using the very latest in print technology. The specially formulated ink dries instantly to produce a tough and durable finish making sure that your phone and its case look great at all times. Image Representation: Please note that all images used are for illustrative purposes only and may not always be a perfect representation of the product being purchased. We do always try to portray the best possible likeness but areas such as the colour and design positioning may vary slightly.